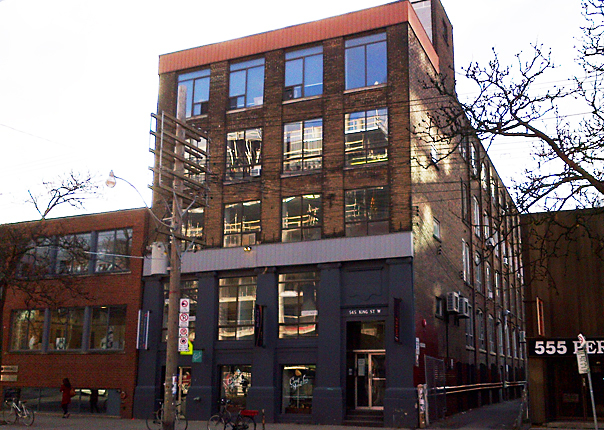 60 Atlantic Avenue is a two-storey former industrial building in the west half of Toronto’s Liberty Village neighbourhood. 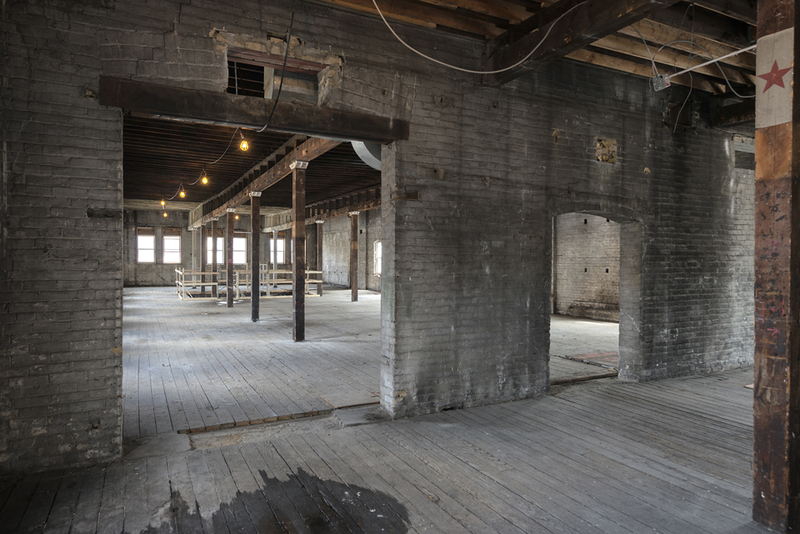 Developer Hullmark bought the listed heritage property a couple of years ago and is transforming the outmoded building for today’s needs, creating office, retail and restaurant space. 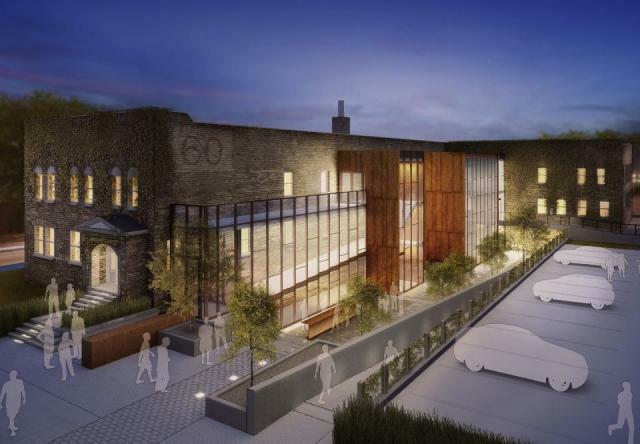 UrbanToronto’s Stephanie Calvet sat down with key players Richard Witt and Caroline Robbie of Quadrangle Architects to discuss the 1898 building’s reinvention from both the exterior (Part I) and interior (Part II) perspectives. The property at 60 Atlantic Avenue is part of a collection of surviving institutional and industrial buildings that give the area its character. What opportunities did restoration of the structure (not strict preservation) vs tearing down and building anew, afford you? 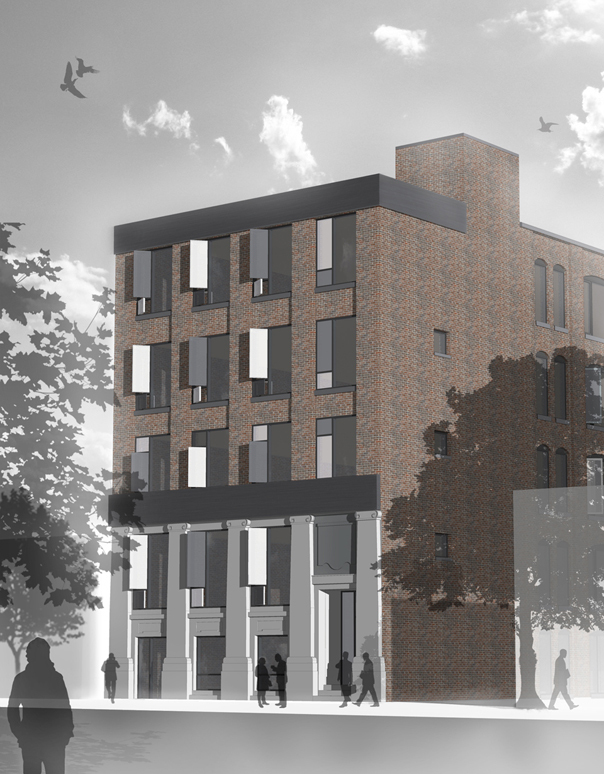 Keeping the building sets up a very different development and value proposition for the site. If it was a new building, it would certainly have been taller, denser and likely not have the same public space that fits neatly into the ‘L’ of the existing building. The existing building’s internal character has a lot of value once stripped out and it is great to see that being restored. 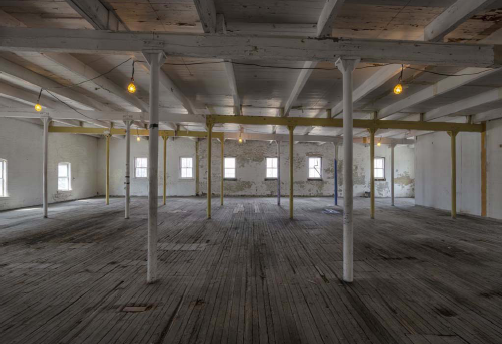 The building does not display a high degree of craftsmanship but it was determined to have design value as an industrial building from the turn of the 20th century and is listed on the City of Toronto Inventory of Heritage Properties. What restrictions were put in place on what you could do here? Retaining the building is the biggest restriction. The conventional economic wisdom would be to tear it down and put something much larger in its place. For many developers the requirement to retain it would not have been very desirable. Luckily Hullmark sees the value in that character – economically as well as culturally, ecologically and urbanistically. There was also the requirement for preparation of a Heritage Impact Statement, prepared by heritage consultant Phil Goldsmith, which outlined a number of considerations, including: the important parts of the building (historical entrance, character of the windows) as well as an analysis of the building’s history, which allowed us to have a discussion about which parts of the building did not need to remain. Since 1991, Artscape occupied the property as its head office with artists’ studios. 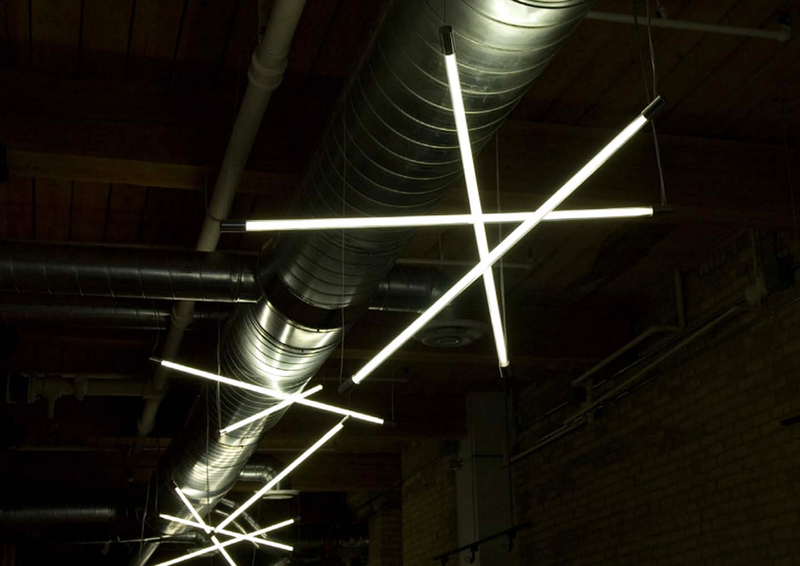 It infused the neighbourhood with energy and played a catalytic role in the reinvention of Liberty Village from a campus of under-utilized industrial buildings to an important cluster of creative sector employment. In which ways do you see this former winery, newly reinvented as a flagship office, having an alternative effect beyond the boundaries of the actual site? It is not a single tenant building. So far there is one tenant (InViVo Communications) confirmed for the top floor. As far as I’m aware the upper ground level is still available and there are a number of likely candidates circling for the lower ground level. 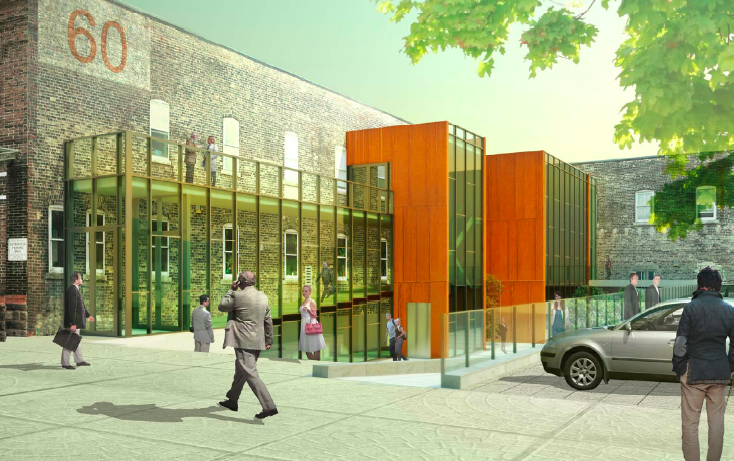 The occupancy of the building will be much greater than it was previously, which is a big contribution to the neighbourhood energy, and the more than one third of the building will be restaurant or retail uses which connect through to new openings on Liberty and Jefferson streets, as well as occupying a new sunken courtyard [see image below] on Atlantic Ave. There will be a lot of two directional traffic in and out of the building, which will have a big effect on the entire area. For decades, Hullmark focused primarily on large residential developments around the GTA. Recently it has set its sights on transforming neighbourhoods in popular urban areas of the city. What synergies between the two firms make it possible to partner up successfully? I’ve always liked the simplicity and clarity of a quote by Hullmark founder Murphy Hull “I had a vision. Over time and with hard work that vision came true.” Hullmark’s vision as city builders aligns with something that Quadrangle have been doing for our entire history: taking buildings of latent value and potential and reinventing them as something new and relevant. 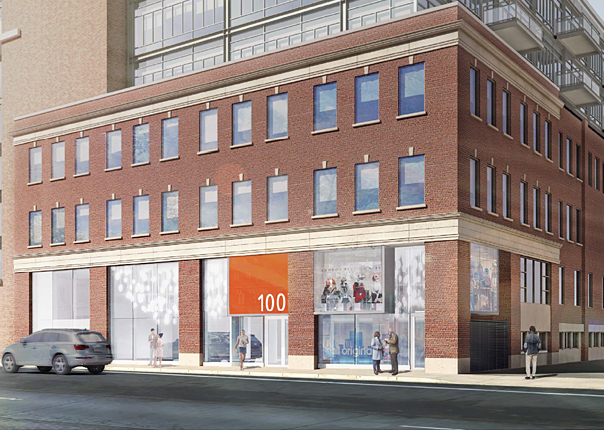 In addition to 60 Atlantic we are also doing projects of similar objective at 545 King W and 100 Broadview [below]. Hullmark is still doing large residential developments and, under the direction of Jeff Hull, has been transformed into a more urban-focused developer. If adaptive reuse can be seen as a financially viable style of historic preservation, why aren’t there more enlightened developers in Toronto ready to reclaim historical sites? There have always been developers doing adaptive reuse in the city. We’ve been working with them for years on projects like City TV, the Candy Factory, the Toy Factory and many others. Although it may be financially viable, it is more work to achieve the same quantity as with a new build. There are always unknowns and surprises along the way and some of those can be expensive. It requires a lot of commitment and long-term vision from the entire team. What is the interplay between the limitations of zoning (and its revisions) and the requirements of historical preservation? When does one take precedence over the other? Zoning decisions have the right of appeal at the Ontario Municipal Board, but Heritage Board decisions do not have that same possibility. In the case of 60 Atlantic there was no Site Plan Approval application necessary though, so there was no potential for conflict. The transparent circulation spine cleverly reveals rather than conceals the existing building behind it. What obstacles had to be overcome and which conditions fulfilled in order to arrive at the solution? The addition was a means to deliver more regular leasable space and not have to make costly additions to the building to accommodate things like elevators, new plumbing, and adequate structure for heavy mechanical equipment. 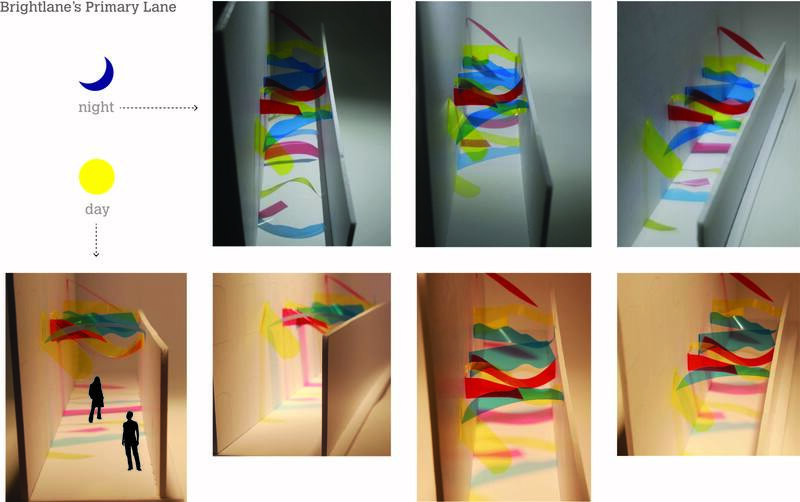 It is also a way to create a clear difference in expression from the existing and new work. It was easier to do it that way than the alternative. The only real obstacle was matching up to the existing building which is not very regular, and built in phases at different levels. The building has small punched windows along its façades that lent themselves well to Artscape’s studios and office spaces (and long prior to that, a winery). Are you incorporating larger glazed sections and/or skylights to accommodate the new program’s open plans, and if so, how? 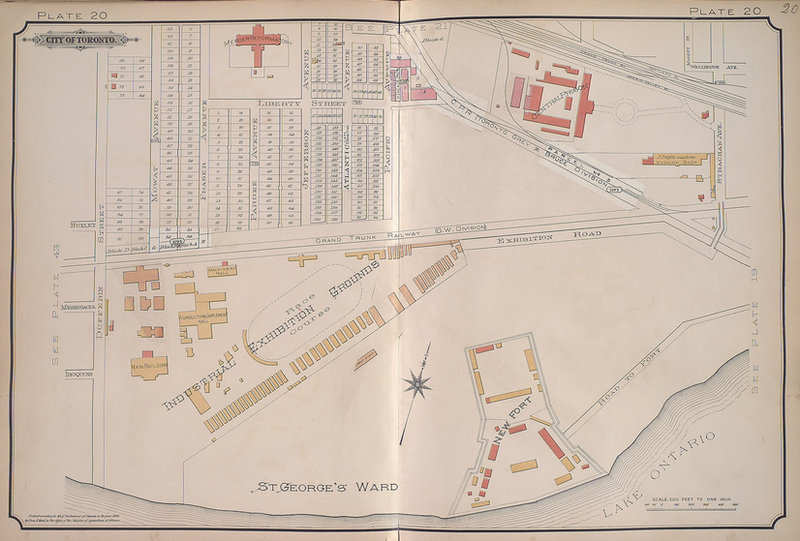 The building was built in two phases, east and west at slightly different heights. The central north south portion was a through-carriageway. 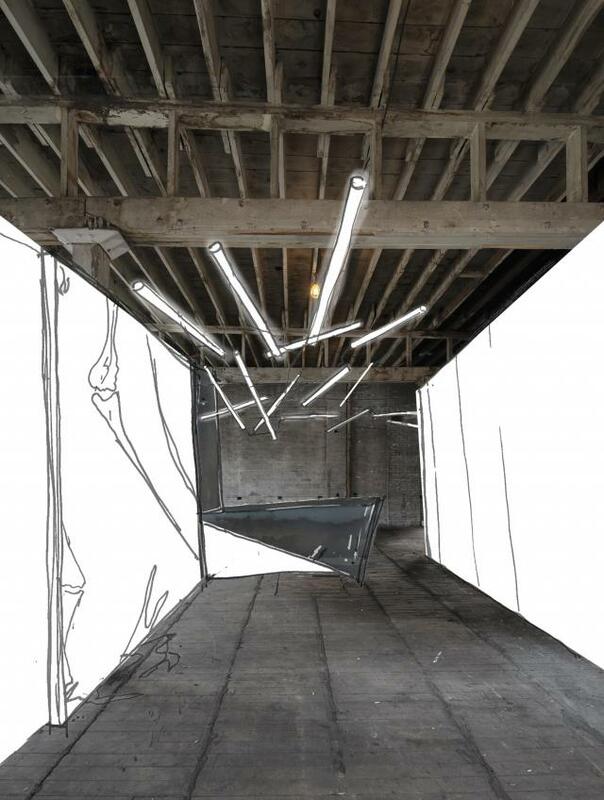 Our first objective in working with existing buildings is to understand what is original and what was subsequently added, which in the case of this building was a lot. 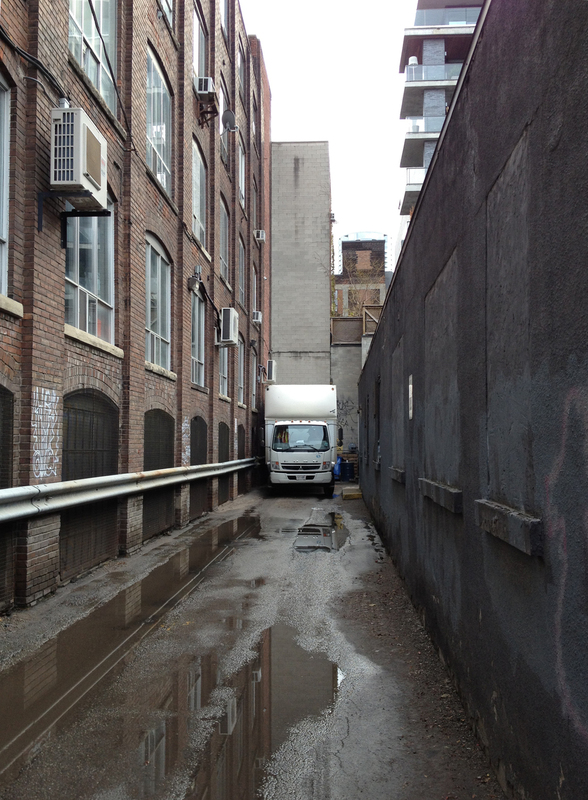 There were also lots of elements like loading docks, which had been retrofitted as windows with dodgy brick infill. By taking out all of these pieces we were left with a series of large openings, which could be fitted with glazing and become a new layer of expression that more accurately reflects the original condition. The new glazed elements, new circulation, connections to the street on all sides and new sunken courtyard all engage the surrounding community in a way that the building didn’t before. 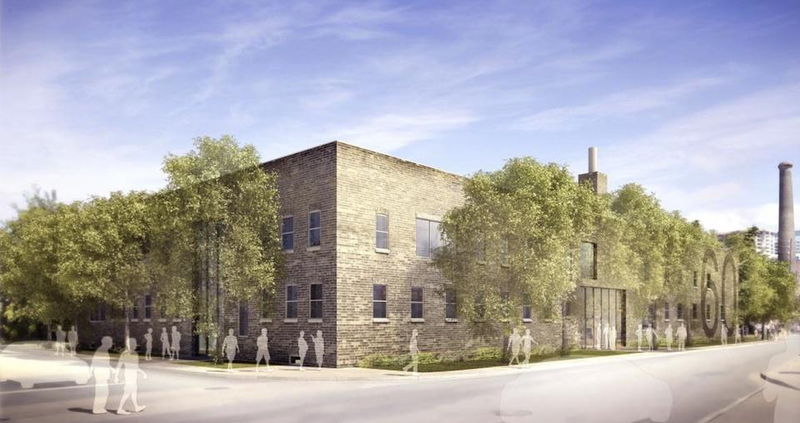 By renovating and turning a former utilitarian warehouse into a vibrant employment and amenity hub, the building both reflects its history and becomes relevant to the future of Liberty Village. So, Yes. 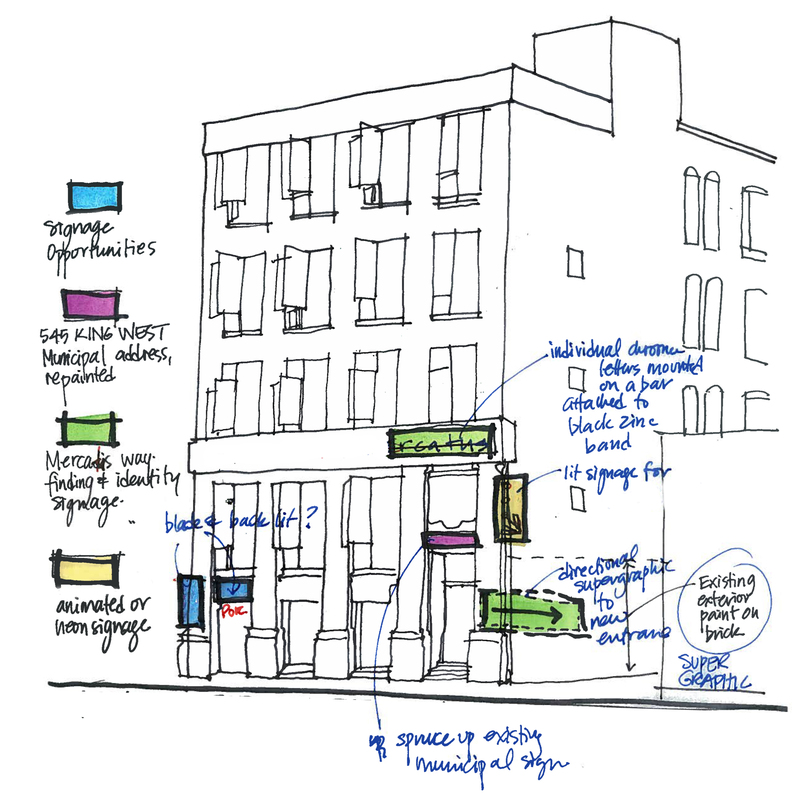 Adaptive reuse is in and of itself a sustainable approach. Are you pursuing LEED certification for this development? We are not pursuing LEED certification, although we discussed it in the beginning and were conscious of our responsibilities throughout. We reviewed the requirements and did a lot that goes beyond the code requirements including some significantly more advanced mechanical systems. In the end we didn’t pursue it because of the cost of the LEED process itself. Liberty Village is undergoing a rapid transformation characterized by thousands of new condominiums set amidst historic industrial buildings. Its east side has become, in the words of architectural critic Christopher Hume, “an over-developed condo enclave,” with little consideration to human scale. What would be your advice for city planners or developers to prevent the same saturation on the west side? The west side of Liberty Village has the opposite problem to the east. It is almost all designated employment lands with a much lower height limit. I think we are moving beyond the days of single occupancy land-based planning (work somewhere, live somewhere else, shop somewhere else, etc.) 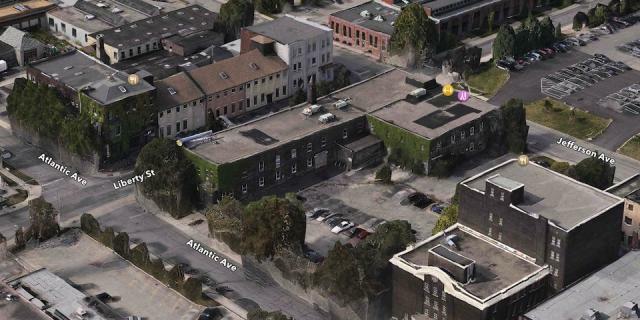 and there is a lot of discussion about introducing residential permission to this part of Liberty Village. Permitting residential to a maximum as well as a minimum amount of commercial space would be a good way to build a true mixed-use community and encourage the growth of employment simultaneously. 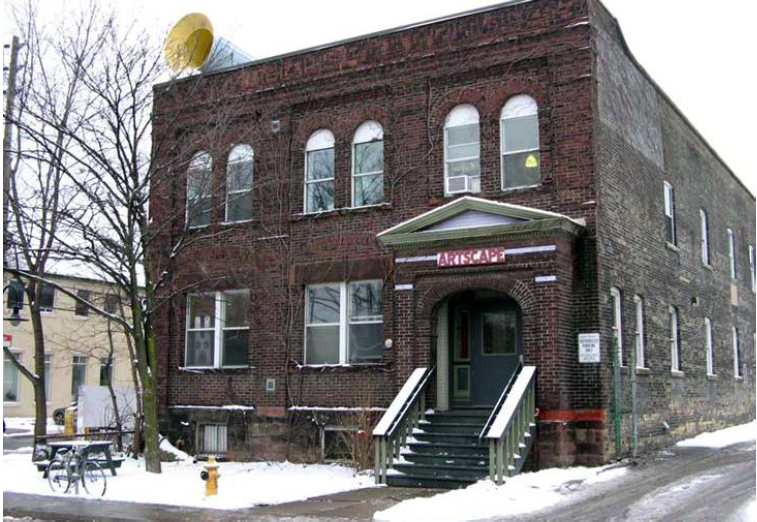 For 21 years the building was home to Artscape and to 48 affordable artist studio spaces. Not immune to the pressures of the real estate market, the non-profit organization was forced to close this location in 2012. 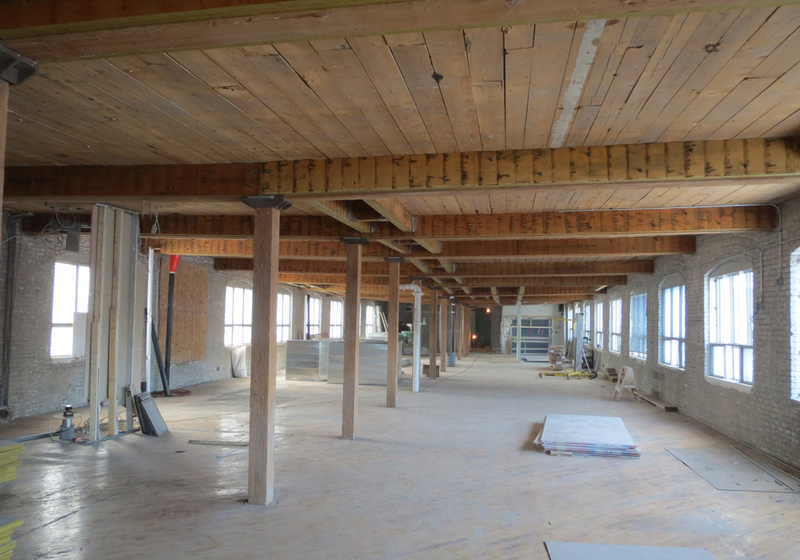 Low cost raw studio space in downtown Toronto is disappearing fast. Can you contemplate ways by which artists and low-profit creative outlets can remain in these neighbourhoods they helped revitalize? This intervention is simple, sensitive and aware of its context. How do you integrate with the existing fabric of the former industrial precinct while simultaneously anticipating its urban future? A lot of architectural direction comes from a consideration of broader influences. By looking at the economic patterns of the area, the qualities of the urban context, movement patterns, social activity and a lot more, an obvious design intent reveals itself. Then it is just the business of building articulation. When it comes to making a great city the most important thing is design at an urban level, an understanding of the buildings’ relationship to, and role in, the broader urban fabric. If you have good architects you get beautiful buildings, but that doesn’t make a great city. Ideally you have both, which is what I think we will have at 60 Atlantic.